Admissions Open at King Edward Medical University's Main Campus for the batch Spring 2019. KEMU offers admissions in different fields of study for Diploma Programs. 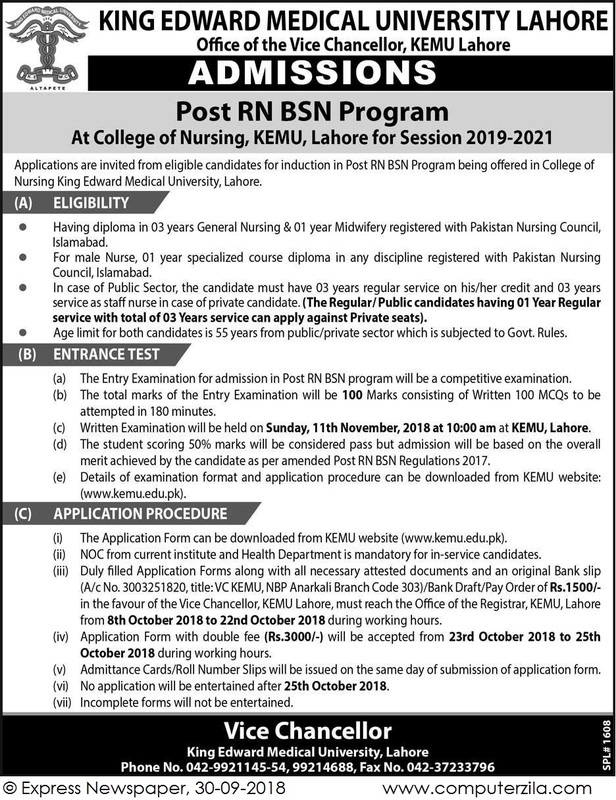 King Edward Medical University Offers Diploma in General Nursing & Midwifery , Registered with Pakistan Nursing Council, Islamabad. Campus Adress King Edward Medical University, Nelagumbad, Anarkali, Lahore, Pakistan. 54000.